The DQ Alisi Towel Radiator is a true power house!! giving out up to 50% more heat than towel radiators of an equivalent size. It also has a powerful square design in a high quality stainless steel. The DQ Alisi is available in two finishes, polished and brushed. 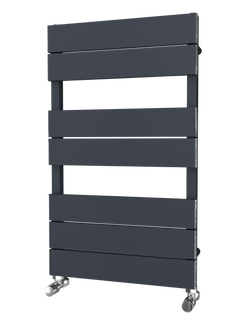 The Carisa Adore Stainless Steel Towel Radiator has a great look with asymmetrical flat bars running horizontally. These can be mounted on the left or the right hand side. The Carisa Adore would look brilliant in any bathroom or kitchen. The Carisa Vivi Stainless Steel Towel Radiator is a great design, with staggered bars dancing either side of a chunky square central bar. The Carisa Vivi would look brilliant in any room. 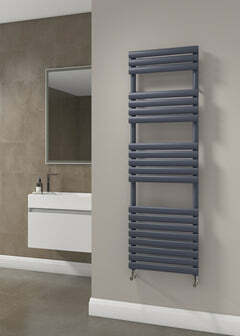 The Carisa Klips Stainless Steel Towel Radiator is a superb individual design. The look and the warming heat it gives off will really make it a great choice. The Carisa Klips would look absolutely beautiful in any bathroom or kitchen, and is brilliant for warming towels. Can be used as Electric, by use of an electric element. The Reina Adora Designer Tower Radiator is wonderfully designed with rounded bars coming off flat uprights. The Reina Adora is a very luxurious stainless steel design. Would look great in any bathroom or kitchen. The Adora is available in stunning Polished finish. 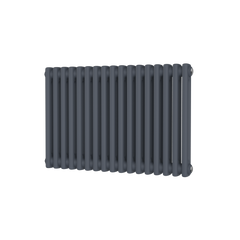 The Carisa Alias Stainless Steel Towel Radiator has a great look with asymmetrical square bars running horizontally. These can be mounted on the left or the right hand side. The Carisa Alias would look brilliant in any bathroom or kitchen. The Carisa Ivor Stainless Steel Towel Radiator has an asymmetrical design, with lovely thick rounded bars running horizontally from the upright. It can be mounted on the left or right hand side. The Carisa Ivor would look brilliant in any bathroom. 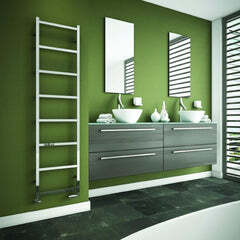 The Carisa Arlen Stainless Steel Towel Radiator is a distinctive design, with an open ended look on lovely square bars. The Carisa Arlen would look brilliant in any kitchen or bathroom. The Carisa Herring Stainless Steel Towel Radiator is a great radiator design, with a central bar running vertically and lovely thick bars running horizontally. As it has open ends towels can be slipped over easily. The Carisa Herring would look absolutely superb in any kitchen or bathroom. The Carisa Snowflake Stainless Steel Radiator is a superb individual design. It is a real one off that will wow your visitors. The Carisa Snowflake would look absolutely beautiful in any room. The SBH Tubes Horizontal Designer Radiator features lovely stainless steel round tubes.